Hey everyone, today we’re going to be taking a look at some of the most popular, top selling best Rolex watches of all time. Many of these are counted as affordable Rolex watches, yeah your heard me right “affordable Rolex”. Considering Rolex watches can go for tens of thousands of pounds, with the most expensive Rolex produced by the Rolex factory having a retail price of US $485,350 (I’ll have a picture of that one at the end just for fun) any watch under $10,000 is considered an accessible Rolex. Skip below if you’d just like to skim through some beautiful affordable Rolex watches. Rolex SA is a Luxury Swiss watchmaker that I’m sure everyone has heard of, they were ranked by Forbes as the 64 most powerful brand for 2016. To date they’re one of the largest single luxury watch brands, churning out over 2,000 water per day, that’s some pretty impressive stuff. Rolex SA was founded by Hans Wilsdorf and Alfred Davis in London, England back in 1905. In 1908 the trademark “Rolex” was registered by Wilsdorf when he opened an office in La Chaux-de-Fonds, Switzerland. Then in 1915 the company name “Rolex” was registered. They moved their base of operations over to Geneva Switzerland in 1919. Rolex and its subsidiary Montres Tudor SA design continue to manufacture, service, and distribute watches sold under the Rolex and Tudor brands. To this day Rolex remain a dominant status symbol for the wealthy to show off with their extremely high end, luxurious timepieces. Over the years Rolex has been very important for the innovation of watches. The first waterproof wirst watch in 1926, the “Oyster”. Also has the first watch with an automatic date change on the dial, the Rolex Datejust 1945. They also had the first waterproof case rated at 100m, this was the Rolex Oyster Perpetual Submariner, 1953. Another innovation for Rolex was the first watch to display two time zones at once, the Rolex GMT Master, 1954. There’s also the first watch with an automatic day and date display on the dial, the Rolex Day-Date, 1956. Also the first watch maker to earn a chronometer certification for a wristwatch in 1910. As you can see these were some very important moments in history for wristwatches as these have now become common features in so many watches. As a brand Rolex has three main watch lines, these are the Oyster Perpetual, Cellini (Rolex’s collection of “dress” style watches), and Professional. 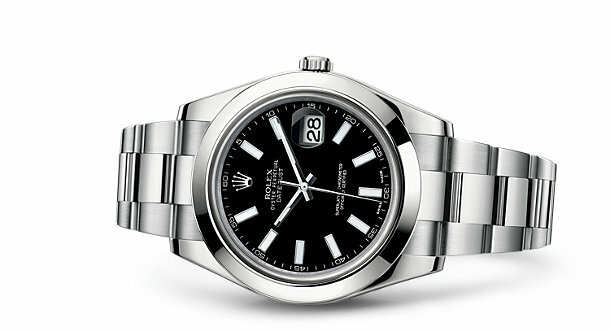 The popular line of Rolex Oyster watches feature a variety of bracelets named Jubilee, Oyster, and President, these tend to come in stainless steel, white gold, rose gold, or yellow gold. Often when you’re reading up on Rolex watches they are displayed in this manner: “Rolex Oyster Perpetual ___” These Rolex Oyster, or Oyster Perpetual are generic names for the watches and not specific lines as such. You’ll find there to be many popular models, some of which I’ll list below. All of these have proven to be popular and noteworthy Rolex watches over time. But what are the best selling Rolex watches of all time? This is something we’ll be looking into in the next section. 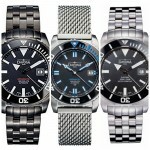 One of the best places to buy Rolex watches online in the UK is Goldsmiths. They’ve been in business for over 230 years and were the UK’s first appointed stockist of Rolex watches. It’s time to finally take a close look at the most popular Rolex watches for men, these are some of the top iconic Rolex’s of all time, some truly stunning timepieces. I hope you enjoy having a read through of the list, as always comment and the end and let me know which was your favourite. 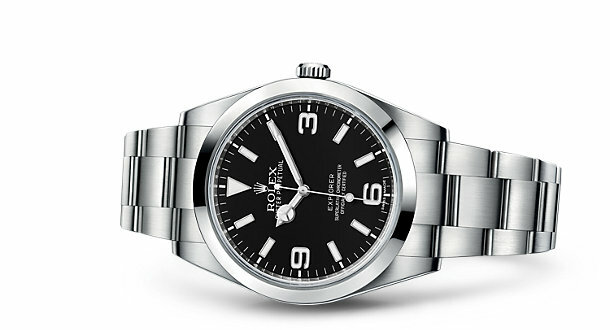 This is a modern Rolex Oyster Perpetual Explorer. 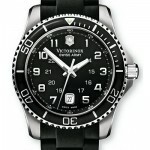 The modern watch features an entirely luminescent display for enhanced visibility. It has the 3, 6, and 9 numerals on display that’s characteristic of this model, these are filled with a luminescent material that makes them emit a beautiful blue glow that’s long lasting, just like the hands and hour markers. This model also features a superlative chronometer certification which ensures you get the singular performance you expect. Find the latest Rolex Explorer watches on Amazon or Goldsmiths. Here we have a modern Rolex Oyster Perpetual Datejust II, it’s beautiful. This is another one of Rolex’s most recognised watch designs. This modern edition stays true to the aesthetical style that’s spanned eras and made it the watch it is today. When you think Rolex, are Datejust II often comes to mind first for classic style. The Datejust II was introduced in 2009 as a modern successor to the original Datejust Rolex. This new Datejust Rolex featured many modern innovations to help it keep up with competitors. If you’re after a vintage Rolex, then the original Datejust Rolex is worth considering. The Datejust II is the classic Rolex watch of reference, one of the most recognised Rolex timepieces of all time. Find Rolex Datejust II watches on Amazon or Goldsmiths. Next up is the classic Rolex Submariner, this model is an Oyster Perpetual Submariner Date. The is one of the most iconic diver’s watches to date, remember Rolex pioneered the first timepiece designer for 100m water resistance. 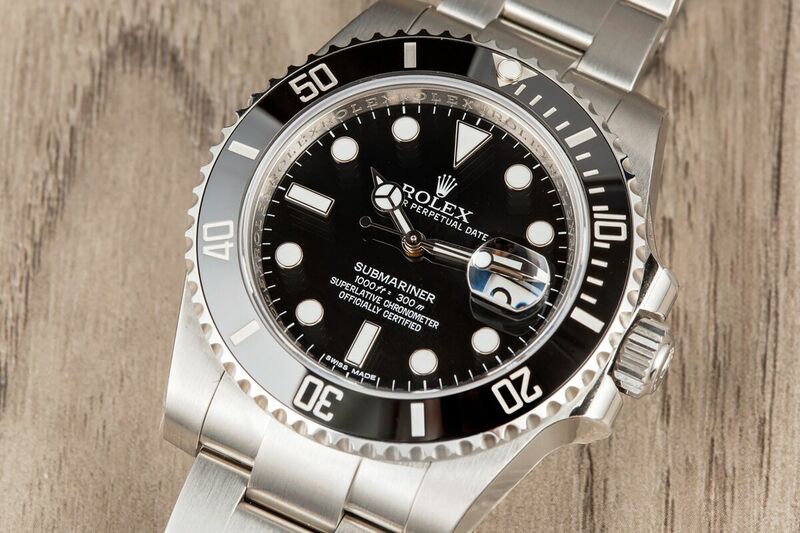 The Rolex Submariner is known for its robust and functional design, it features a subtle redesign of the Oyster case with a distinctive dial and large, high visibility luminescent hands and hour markers. These modern Submariner watches are still in line with the classic design of the original model that people fell in love with. Find Rolex Submariner Watches on Amazon or Goldsmiths. This is another truly beautiful Rolex watches. 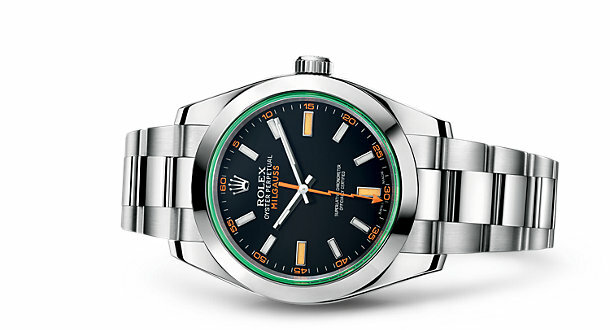 The Rolex Milgauss was originally introduced in 1956 and was designed as an antimagnetic watch specifically for people working in research labs, power plants, and medical facilities. The original Rolex Milgauss actually had a very similar appearance to the Rolex Submariner, it was oversized and has a riveted Oyster bracelet. The modern Milgauss was introduced in 2007 with 4 variations, this model featured today was introduced in 2014 with the tinted green or blue designs. This Rolex Oyster Perpetual Milgauss features an excellent, efficient shielding system to protect the watch from magnetic interference. At the heart of the watch is this innovative technology, the shield inside the casing is made of ferromagnetic alloys, these surround and protect the movement. A truly clever innovation. Find Rolex Milgauss watches on Amazon or Goldsmiths. This beautiful timepiece is the Rolex Oyster Perpetual Yacht Master II, possibly one of my favourite Rolex watches to be honest. Designed with professional sailors in mind this chronograph Rolex watch features a programmable countdown with mechanical memory and provides precise synchronization with the crucial starting sequence of a yacht race. At heart the Rolex Yacht-Master II is a high end luxury sports watch, it was first unveiled in 2007 before finally being introduced in early 2010. All of the Yacht Master Rolex watches have this stunning 44mm casing diameter that gives it a beautiful large profile. 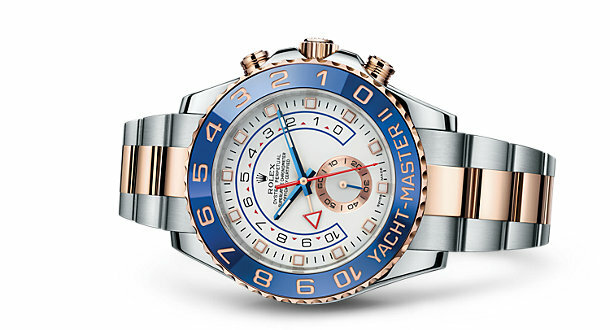 Find Rolex Yacht Master II watches on Amazon or Goldsmiths. 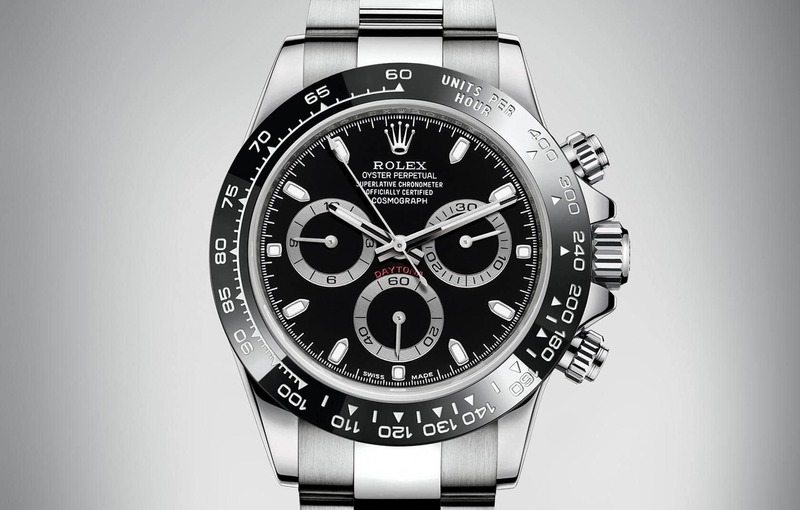 For the racing fans out there you should definitely check out the stunning Rolex Oyster Perpetual Cosmograph Daytona. This is a new up to date version of the Cosmograph Daytona. The original Oyster Perpetual Cosmograph Daytona watch was created by Rolex in 1963, born with racing in mind this quickly became one of the most iconic watches in motor sport due to its performance and reliability. Possibly one of the best known chronograph watches in the world, known simply as the Daytona. If you’re after an iconic racing timepiece, then the Daytona just makes sense, it’s a stunning watch packed full of state of the art features with excellent quality construction throughout. 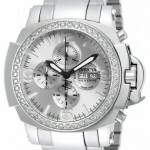 Find Rolex Daytona watches on Amazon or Goldsmiths. Our last watch to be featured is this impressive Rolex Oyster Perpetual GMT-Master II. The first Rolex GMT – Master II was released in the early 1980s, it was the successor to the Rolex GMT-Master which was originally designed in collaboration with Pan American airways. I love the stunning 24 hour rotatable bezel on this rolex, the luxurious finish of the tone design is exquisite. The GMT-Master was originally designed with professional use in mind, it’s rugged look and excellent functionality has gained it a popular following. Perfect for any avid globetrotter. 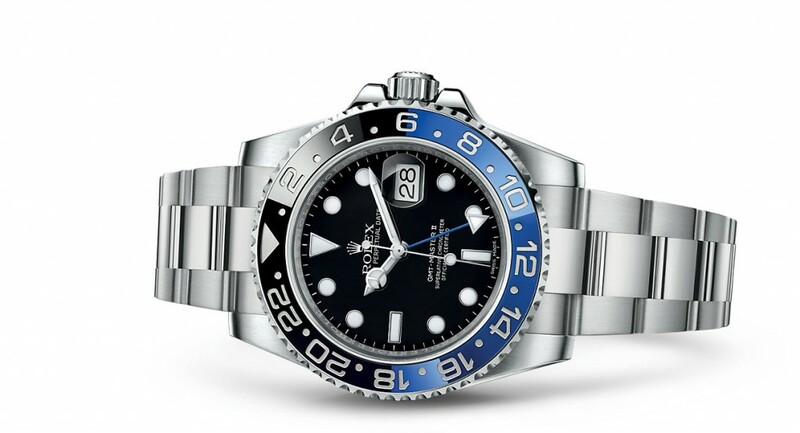 Find Rolex GMT Master II Watches on Amazon or Goldsmiths. I hope you enjoyed taking a look through some of these stunning Rolex watches with me. At the start, I promised to show you the most expensive Rolex watches ever produced by the Rolex factory. It’s the GMT Ice reference 116769TBR, it retailed for US $485,350 at the time, that’s pretty crazy. You can check it out on Chrono24 here. Anyway, thanks for reading through, as always let me know what you thought in the comments section below. Rolex watches are well-known and extremely popular wristwatches in the world. Rolex has a rich collection of watches such as causal watches, dress watches, kids’ watches, sports’ watches and more. 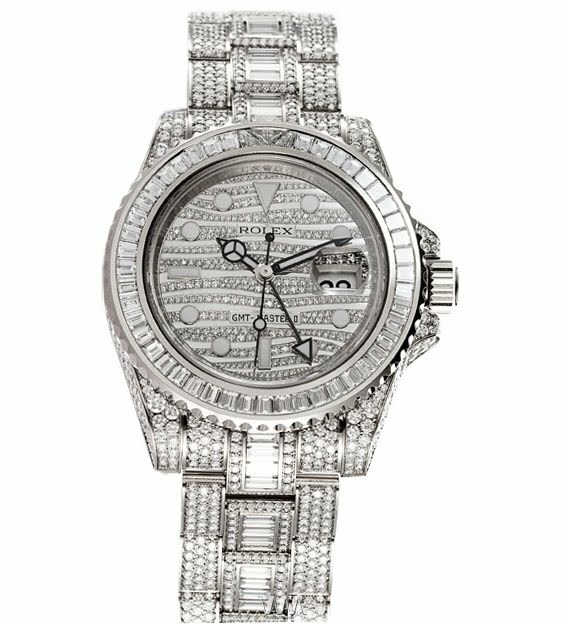 Furthermore, Rolex Women Watches are available in different styles, such as chain watch, bangle watch, bracelet watch and wrist watch.